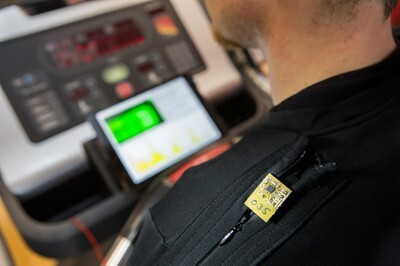 Under the lead management of the German Research Center for Artificial Intelligence (DFKI), experts in the fields of sensorics, informatics, biomechanics, and sports rehab are developing new concepts for smart clothing. An international team of twelve organizations is developing so called meta-products that can be adjusted to the needs of the individual customer. Similar to the idea of a smartphone, where the usefulness to the user is determined by the various apps installed, these meta-products also lend themselves to customized settings. By transferring what has been a function of static devices in the past, EASY- IMP enables the use of mobile devices and a special cloud-solution to open totally new perspectives with diverse applications in sports, healthcare and computer games. Half-way through the project term in May 2015, an audit took place in Brussels. The responsible engineers, researchers, and clothing manufacturers presented an interim progress report to an international panel of experts and demonstrated some early prototypes based on four selected sample scenarios. As soon as the products are ready for market, they are to be distributed by partners in the industry. One example is the medical rehabilitation pilot application: Via the Internet, the treating physician fits his patient with a cardiologic chest belt that has been produced in advance to meet the special needs of the patient. The patient then completes one training session under medical supervision in a rehab center. The data captured by the built-in sensors in the chest belt is transmitted via Bluetooth to the patient's smartphone. A mobile app detects the exertion and intensity of the training and evaluates it. Subsequently, regardless of whether the patient performs the exercise at home or at a rehab facility, doctors and physical therapists can monitor the progress online and send recommendations directly to the patient on how to proceed. Additional pilot scenarios were developed for sports applications and computer games. To facilitate the cooperative infrastructure, a cloud system was designed to optimize the management of the data flow. The participating partners developed the new concept in a team effort via the web-based platform. The center of the effort was directed at production planning, integrated services, and the scope of the new products and applications to be offered. These include optional design, installable components, and selectable fabrics and sensors. The customer then sets the functionalities based on personal needs and desires. 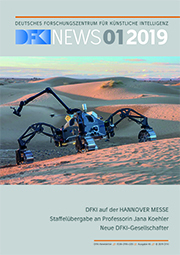 DFKI's Augmented Vision department, headed by Prof. Dr. Didier Stricker is concerned with the problem of linking sensors to a mobile device, the evaluation of the sensor data, and the design of the smartphone user interface. 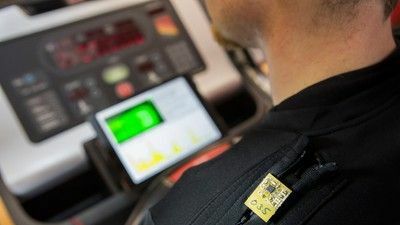 In addition, the scientists and engineers in Kaiserslautern are developing software for the optimization and evaluation of sensor equipped clothing in a virtual environment. Besides DFKI, the other eleven organizations in the consortium are: Atos Spain S.A. (Spain), Interactive Wear AG (Germany), Université Lumière Lyon (France), Athens Technology Center S.A. (Greece), Hypercliq Limited Partnership (Greece), Instituto De Biomecanica De Valencia (Spain), Smart Solutions Technologies S.L (Spain), Timocco LTD (Israel), Sylvia Lawry Center for Multiple Sclerosis Research Foundation (Germany), Ljubljana Rehabilitation Institute (Slovenia), Federation of the European Sporting Goods Industry (Belgium).